Please contact us if you are interested in learning more about our TNR & Barn Cat initiative or can volunteer to help us set it up and run it! 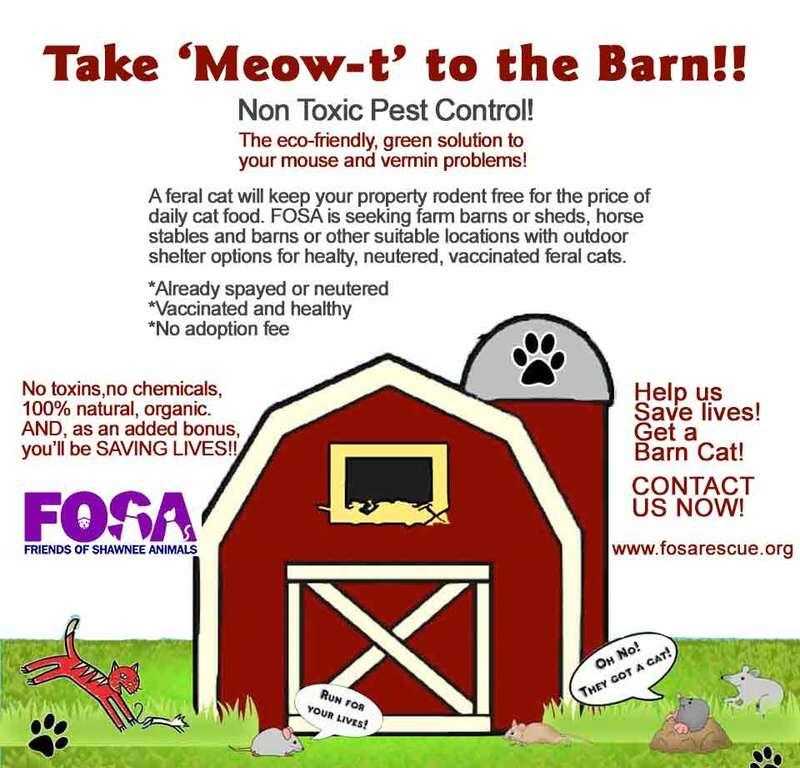 is a program successfully deployed throughout the nation to keep the feral cat population in check. Caregivers take care of their cat colony (food and outdoor shelter) - the cats in the colony are happy and their numbers eventually decline - there is no more breeding. Extermination of feral cats only fails because the population builds right back up again. TNR is humane for the kitties and it works! The cats are trapped, neutered and vaccinated. Any medical issues are treated before they are returned. Colony caregivers are trained and we help supply the food!